BetOnline was established in 2001 as an online sportsbook, since then it has developed into roulette and other online casino popular games. The casino has an experienced management team boasting more than 20 years’ presence in online gaming. BetOnline operates from Panama where it is licensed and provides games to players across the world, including the US-based players. BetOnline casino runs in the browser without the need for a download. Previously, this casino used only Real Time Gaming Software, however, there has since been a switch to the DGS platform. Despite this switch-over BetOnline has kept some old RTG games. These still play well even though they look slightly dated without the newer titles and upgrades which followed. The advantage here is if you enjoy betting on a game or playing a few hands of poker, you can easily pad your casino bankroll with bonuses gained with other games like roulette. So go ahead and read our in-depth and honest review of BetOnline casino. You can find a number of roulette games at BetOnline. 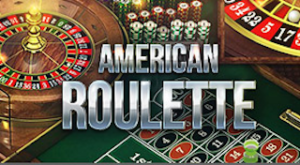 In addition to the familiar looking American and European Roulette powered by the old RTG software, you can also find a multiplayer Common Draw Roulette and high-speed Zoom game. The graphics are different between the software platforms yet both offer equally enjoyable experiences. The grids are clearly marked out and have a realistic feel. The Common Draw game allows multiple players to join in a game. Because of this, the action is on a 30-second timer, which is plenty to allow you to place your bets down and makes the game a bit slow. You can always lighten up the mood by talking with your fellow players in the chat box on the left side of the screen. If its speed you are after Zoom Roulette whizzes through by comparison, which is great fun when you are running hot. If I was to pick hairs I would say the Common Draw and Zoom games have a slightly clearer wheel, which does not blur, and so allows you to sweat your number as the ball lands. For those who like a more realistic feel to their games, you can also play live dealer roulette in the live casino. These games run live via a video stream and are run by attractive dealers. You can find both American and European wheels, although this time the minimum bet is set at $5. These games tend to all be multiplayer and you are free to interact with other players and the staff. BetOnline hosts not only online roulette but a huge range of Blackjack games of different varieties and bet sizes. There are also many versions of casino poker, two tables of craps and two different Baccarat games. If you enjoy table games you should definitely find something that fits your taste and bankroll. Fans of video poker can find every single and multi-hand game available, along with some which drop some juicy jackpots. Specialist games like Keno or Bingo can be found and the site has a number of Scratch-Card games to pick from if you want to try your luck there. Of course, no casino is complete without slots. BetOnline has a number of 5 and 3 reel slots games, including some of RTG’s famous titles, such as 7’s and Stripes and Reel Outlaws, paying out over multiple lines. 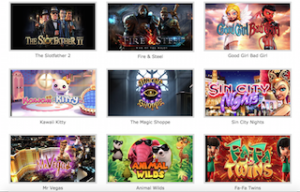 Under the 3D slots tab, you can find a collection of BetSoft games which really put slot machines into a different realm. These feature bonus rounds with wonderfully detailed animated graphics, putting you in the heart of the action. New titles such as Greedy Goblins are available alongside 2 Million BC, to give you a unique interactive experience while playing BetOnline casino slots. BetOnline provides its players with a number of deposit options, although US players may be limited. Many options do carry additional charges and large minimum fees. Credit cards like Amex, for example, have a $50 minimum deposit amount and will charge you an additional 6% to get your own money online, this is the cheapest method for US players. If you are outside the US and can access e-wallets like NETeller and Skrill you can enjoy free deposits with a $10 minimum. BetOnline customers are hit with withdrawal charges. Again non-Americans get a slightly better deal with a $20 fee and a minimum withdrawal of $25 back to your e-wallet. US players are stung with a minimum withdrawal of $500 and charges from $45 up for withdrawals via their only two options – Checks or Wire Transfers. These charges are high compared to the other US-facing sites. If you are playing with large sums it’s probably less of an issue, although for most the $500 minimum withdrawal means you have to aim big or accept losing all your funds. New casino players on BetOnline have limited bonus options – unless you are a slots player. Here you can get a 100% match up to $5000 and it requires a 50x play-through before it is released. Other than this there is a fairly poor 25% reload bonus up to $3000, again requiring a 50x play-through, although roulette play does not count towards clearance. If you are already playing on BetOnline and have not yet tried the live casino you can get a refund on your first bet if you lose, up to $25. You just need to email the site with your account number and bet reference in order to get it credited back. BetOnline has a really nice selection of Roulette games, with the standard American and European wheels alongside Multiplayer and Zoom games. You can even try out the live casino to get the full casino experience at home, along with a refund if your first bet loses. If you are already using BetOnline for either their poker games or sportsbook, the casino offers a really good choice of games and it is easy to get your money transferred there. The high charges on deposit and withdrawals along with limited bonuses for Roulette players do taint an otherwise first-rate casino. BetOnline Casino is one of the top picks for US roulette players!